There are a few things in my photography life that just melt my butter, and old fencing is one of them. Sunflares are too. So, when I got both in one shot, I went home happy. This image was taken in Victor, Idaho. What a beautiful morning it was too! The sun came up and just painted the hillside with beautiful light and colors. 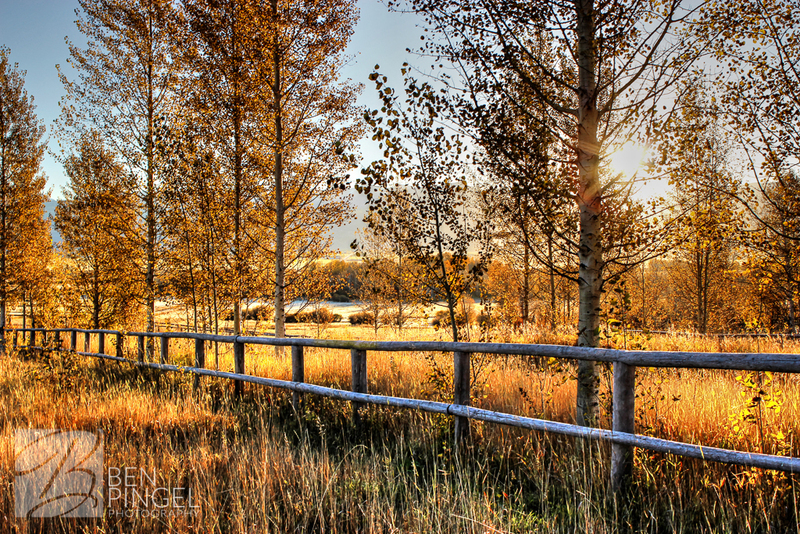 I ran around to a few different locations getting the sunrise- and then I found a fence and it was all over for me. My great, great grandfather actually helped settle the Victor area way back when- so that whole valley has a great deal of meaning to me. I loved being out in nature early in the morning, put some soft music on with my bluetooth earmuffs, and had some fun. 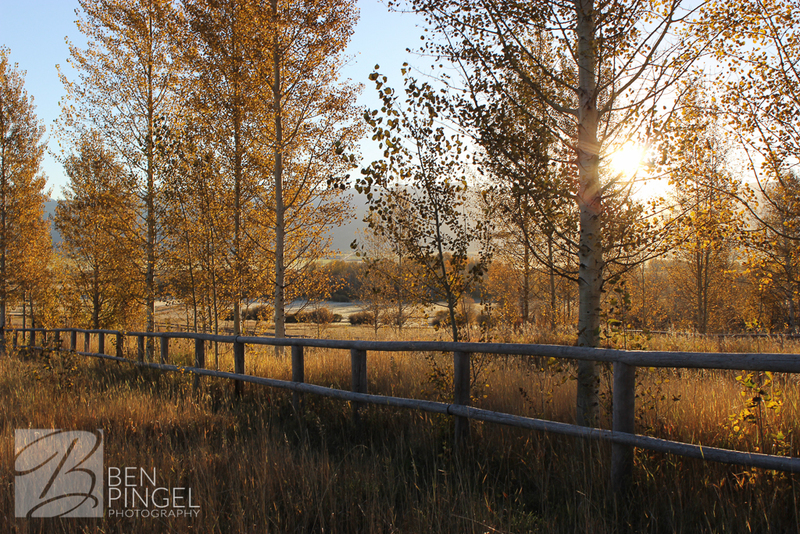 I shot this with my Canon Rebel T3i on October 9, 2014 just after sunrise at 8 am. I used f/8.0 and 1/160, with an ISO of 100. To prepare for print, I did some HDR modifications and lightening. The fence was also very blue, so I spent some time desaturating it and helping it turn back to a brown for large format print. I mostly just worked with levels, saturation, and some sharpening, and then printed at 20×30. I picked up an old barnwood frame that just set it off perfectly, and got some glass done up. Introducing my framed fine art. 🙂 from Ben Pingel on Vimeo.